Catrina chandelier bead earrings adds majestic finish to any outfit. The emphasis is made on a teardrop-shaped design. 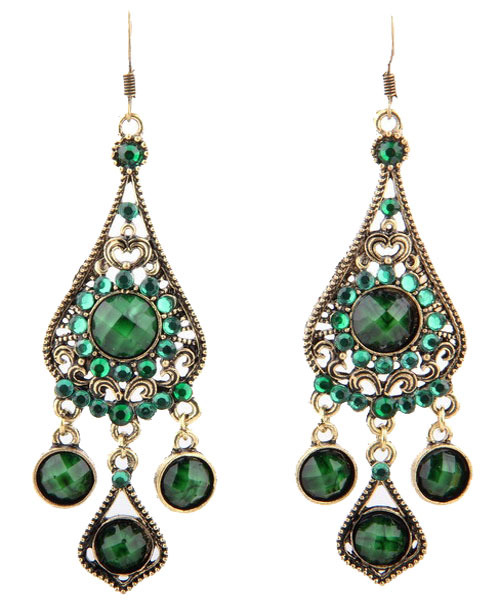 Antique gold-toned metal, round faceted crystal trimmed with shining emerald green beads. Buy now from Oz Bling, a popular and trusted online jewellery store.